Preheat the oven to 180 C. Grease a 12-hole (1/2 cup capacity) muffin pan. In a large mixing bowl, combine all dry ingredients. In a small bowl combine all wet ingredients. Add wet ingredients to dry ingredients. Gently fold together until just combined. 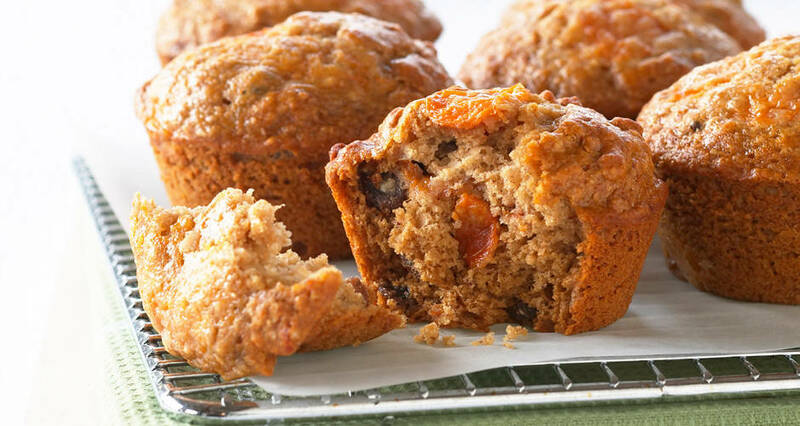 Over-mixing will create a tough muffin. Spoon into muffin pan, bake for 15-18 mins or until the tops bounce back. Serve warm or cooled.